The definition of MTTF and MTBF- and what is the difference? 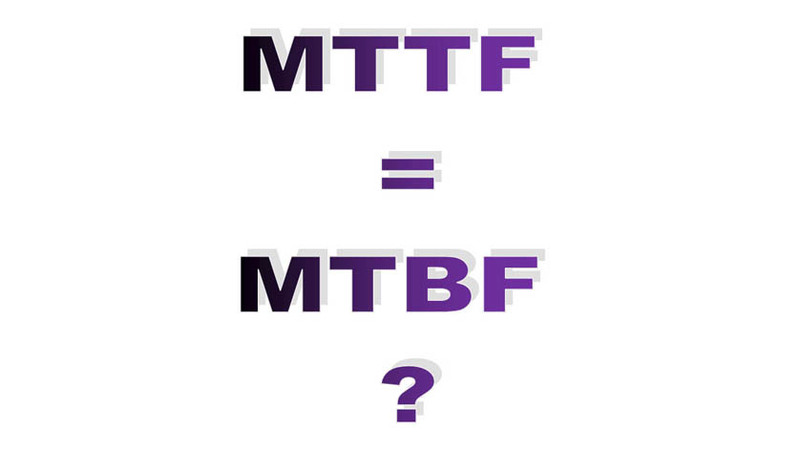 The two definitions of MTTF and MTBF differ only slightly. Written out, the two acronyms read as follows: Mean Time To Failure (MTTF) – i.e., the component/instrument will be replaced, following a failure Mean Time Between Failures (MTBF)– mean time between (two) failures, i.e., the component/instrument will be repaired, following a failure Both are purely statistical parameters and are used to represent the reliability of (electronic) components. However, MTTF and MTBF must not be mixed up with the average service life. For pressure sensors and pressure transmitters, it is customary to use the MTTF values, as these instruments are normally not repaired, following a failure, but completely replaced. To obtain the MTTF values of WIKA pressure sensors, you can request them from us. The response time behaviour of pressure sensors: How is the response time defined and what is the definition of the rise time? Is there an intrinsically safe pressure sensor / pressure tranmsitter with SIL2 classification?